Sometimes weekends are amazing. 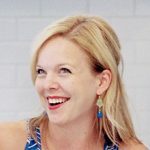 They can be full of trips to the library, walks, yoga classes, playing in the park, cooking and baking. Sometimes they are just chock full of back to back activities and commitments and they don’t feel like a weekend at all. That’s how this past weekend was for us. There was plenty of fun and seeing lots of people we love but man, it was draining, and I would really like another weekend to recover from it. With that in mind, I’m just going ahead and looking forward to the coming weekend even though it is Monday. A favorite lazy weekend activity for us is a family movie night. Sometimes we have dinner first and just enjoy a movie and popcorn afterward, but my favorite kind are those when we have dinner while we watch the movie. 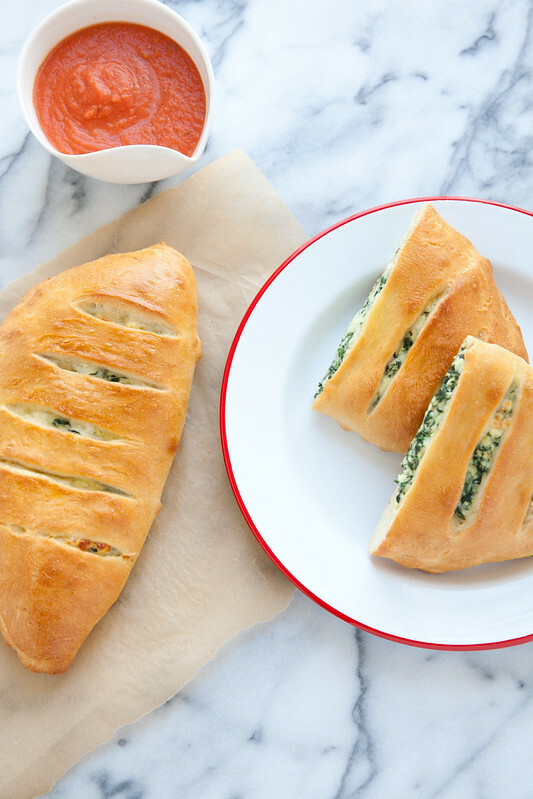 These calzones made for an absolutely perfect movie night meal, but really they would be fantastic any night of the week. So, let’s all look forward to the coming weekend with a perfect weekend-worthy meal! Preheat the oven to 500˚ F. In a bowl, combine the spinach, ricotta, mozzarella, Parmesan, olive oil, egg yolk, garlic, oregano, and red pepper flakes. Stir well until evenly combined. Place the dough on a lightly floured surface and divide the dough in half. Working with one piece of dough at a time, use a rolling pin to flatten the dough into a 9-inch round. Repeat with the other portion of dough. 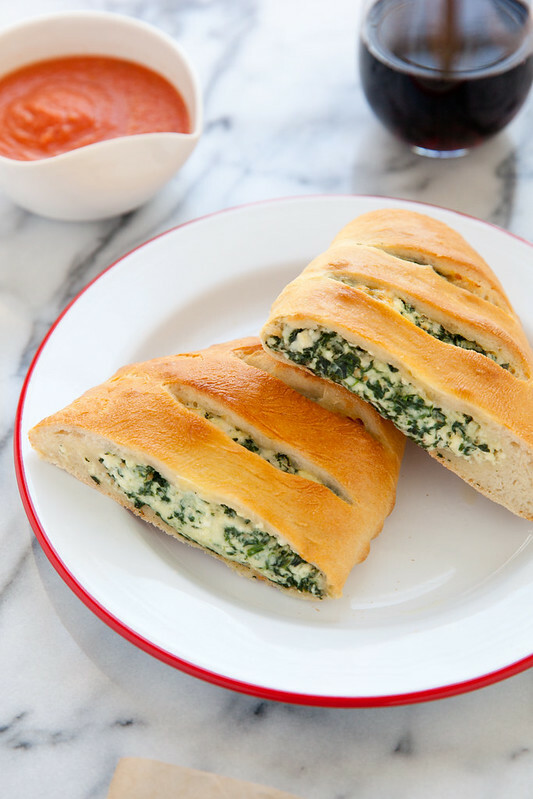 Spread half of the spinach filling over half of each dough round, leaving a 1-inch border at the edge. Brush the edge with the egg wash. Fold the other half of the dough over the filling, leaving ½-inch border of the bottom edge uncovered. Press the edges of the dough together and crimp to seal. Carefully transfer the sealed calzones to a large piece of parchment paper. Using a sharp knife, cut 5 steam vents in the top of the each calzone. Brush the tops with the remaining egg wash. Transfer the calzones (still on the parchment) to the baking stone. Bake until golden brown, about 15 minutes, rotating the baking sheet halfway through the baking time. Transfer the calzones to a wire rack and let cool for 5 minutes. Serve warm with pizza sauce.